Liker du krim? Liker du å bli fasinert av psykologien i en god krimbok? 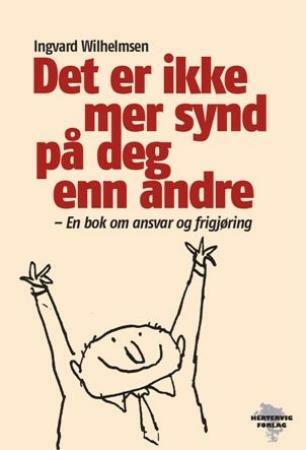 Har du lest Keplers bøker? Om ikke MÅ du lese men helst i dagslys fordi dette er bøker som virkelig graver seg inn i hjernen din. De er fæle, brutale, rå men akk så fasinerende fordi man kan nesten ikke tro at noen kan skrive så mye jævelskap og enda være oppegående folk …. 1. WHO IS LARS KEPLER? Lars Kepler simply appears when Alexander and Alexandra write crime fiction novels together. It is a voice that is so much bigger than our individual ones combined. Lars Kepler has a unique tone, great momentum, and a strange need to dive headfirst into extreme situations. We don’t think of him as a person that much anymore, but we do know that he is a bearded and quiet former high school teacher, an avid reader, works at a homeless shelter at night, and writes with a passion during the day. 2. WHY DO YOU WRITE UNDER A PSEUDONYM? To write a book is a fragile and intimate thing, and for some a new identity is the only way to experience artistic and creative freedom during the writing process. The reasons why Stephen King, J. K. Rowling and Joyce Carol Oates have used pseudonyms of course differ, but for us it was a necessary choice to even begin to work together. No matter how much you appreciate one another’s authorship, no matter how much you love one another as human beings, it’s not always certain that you’ll be able to write together. It might sound strange, but for us the key to our common fount of creativity was to create a new author. We didn’t tell anyone when we wrote our first book The Hypnotist; not even our children knew, or the publishing house that published us. Our intent was to stay hidden forever, but just like Elena Ferrante, we were revealed after much speculation and months of being chased by the media. 3. HOW DID YOU COME UP WITH THE NAME LARS KEPLER? Lars is a homage to the Swedish crime fiction author Stieg Larsson as he inspired us to start writing crime fiction. He breathed new life into the Swedish crime writing tradition in a way that sparked our own creativity. The name Kepler comes from the German scientist Johannes Kepler (1571-1630), who solved one of his time’s greatest mysteries: it was his calculations of the planets’ orbits that paved the way for Newton’s theses about gravity. 4. WHO ARE ALEXANDER AND ALEXANDRA AHNDORIL? Alexander grew up in Upplands Väsby, twenty kilometers north of Stockholm. He has always been an avid reader, but wanted to be a painter in his youth. For many years he produced big oil paintings inspired by Caravaggio. He practiced Muay Thai and was accepted into a ranger unit, moved to central Stockholm and studied philosophy, religion, and film at university. His first novel was picked up when he was only nineteen. Before he began writing as Lars Kepler he had already penned nine novels, twenty theatre plays, and one opera libretto. Alexandra grew up in southern Sweden. She discovered early on that she wanted to become an actress and attended the National Academy of Mime and Acting in Stockholm. She thereafter got a Master’s Degree in literary science, was hired as a PhD student at university, and began writing a dissertation on the Portuguese poet Fernando Pessoa. She produced three historical novels before she began writing in collaboration with Alexander. Alexander and Alexandra married in 1994 and have three daughters together. They live in central Stockholm. 5. WHERE DID THE CHARACTERS JOONA LINNA AND SAGA BAUER COME FROM? It is hard to say how something comes into being in the depths of your creativity. You start to write and see how the new worlds slowly open up before you. As you go along you encounter different characters and linger on some. You become curious, try to get to know them better, and give them room to speak and act. We knew that we would need some very special heroes to dare to venture into the darkness that waited in our stories. Already the first time we came into contact with Joona we understood that he was the one we needed, but he wasn’t just a hero, he was also a man with a mystery inside of him. We also realized almost immediately that he was too big of a character for just one book. He is an unconventional detective superintendent who is unable to give up on things because of his past. We have started to think that perhaps the most unusual thing about Joona is that he hasn’t become jaded despite his many years as an inspector and past in the elite forces. What makes him so skilled is that he is driven by empathy, and forces himself to remain at a crime scene until he can read the blood spatters like the pages of a book. Then Saga Bauer and her bad temper suddenly showed up in The Nightmare. Saga is an inspector at the Security Service, an interrogation expert and elite boxer. She is beautiful like a fairytale princess, but has a horrible temperament. She has always run from her past, never wanting to think about it. Her mother was mentally ill and Saga has locked her own madness into a dark room. She doesn’t know how long she will be able to keep it there. 6. CAN THE JOONA LINNA SERIES BE READ OUT OF SEQUENCE? Yes, every book can be read as a stand-alone. There is always a new case for Joona Linna to solve, a mystery that is given its explanation at the end. In each novel we also usually introduce a new set of main characters whose fates no one can predict at the start. It is these new characters and the solved cases that make each book its own complete story. But if you chose to read the books in order you will also be able to follow the full story of Joona Linna and Saga Bauer. They are both after all our main protagonists for the entire series, and their strange lives are mysteries of their own. We are curious people, and look at the world with open eyes. We are inspired by everyone and everything. We read an incredible number of books, see films and art, travel and meet people. But we also have a very lively imagination to start with. That is both a blessing and a curse. We can easily imagine how a nice situation can turn into a nightmare. When writing that is a good quality to have, but at other times it can be a negative. The definite inspiration usually comes to us as we come together as the writing duo of Lars Kepler, when we exchange texts or discuss plot. We jump headfirst into our fears, the goal always being to solve the mysteries and restore order in the world again. Maybe it is actually that which we love the most about this genre. The stories begin in chaos and end in order, start with riddles and end with answers. 8. WHAT DO YOU LOVE MOST ABOUT WRITING TOGETHER? It is wonderful to be an author, we enjoy the happiness it brings us every day, but there is also a backside to it – the solitude. The profession of author is one of the most lonely there is in the world. Most authors can never let someone else into their creative world during the writing process. Many of us have made the mistake once or twice, not being able to resist talking about what it is you’re writing, and then felt how the magic disappears and the story dies. This knowledge means that you can’t share what it is you are thinking of or experiencing during the hours of the day, unable to even discuss it with your colleagues. By writing together we have broken that barrier of loneliness. Instead we are now having an endless conversation about what it is we are writing, from the moment we wake up, throughout the day, till the point we make dinner and go to bed. Many authors who work together write every other chapter or divide up the characters, but we don’t. We do everything together. During the actual writing process we switch texts with one another all the time, which means that we constantly give one another impulses to react to, something that inevitably pushes us into an amazing creative flow. Pretty soon we don’t even know who wrote what to start with – and that’s when we know that Lars Kepler has taken over. 9. WHAT ARE THE CHALLENGES IN WRITING A SERIES? The big advantage is that you get to return to your main protagonists book after book, and get to know them more and more. A challenge is of course that you have to have all the novels fresh in mind, remember all that has taken place (and to some extent predict what will happen). Since we strive to have characters with a believable psychology and an emotional continuity, events in earlier books have to be reflected in the characters’ lives without ruining the experience for readers who chose to read the books in a different order. 10. TELL US A BIT ABOUT YOUR PROCESS: WHEN DO YOU WRITE, HOW MUCH A DAY, WHERE? We feel much like the painter and poet William Blake expressed it, “The imagination is not a state: it is the human existence itself.” We are always in the middle of writing something, but the time we spend in front of the computer working varies according to our children’s schedules. After saying good-bye to the children as they go off to school, we take our morning coffee to the computer and write non-stop till they come back home and need help with their homework. After coming up with an exciting core idea, the first step of the writing process is to plan out the plot. It can take us months. We cover a big wall with pieces of paper describing key scenes and discuss the characters’ choices of action. We see this wall full of notes as the score for our coming jam session, when the music will be born and anything can happen. To write is to always listen to what is happening inside, and to anchor each moment and each character in personal experience. 11. CAN YOU TALK ABOUT YOUR RESEARCH A BIT? Research is incredibly important to us. Crime fiction has one foot placed in fantasy and one in reality. The suspense builds entirely on credibility. So even though we like to portray extreme situations the principle is that everything should be able to occur in reality. We read forensic science, forensic medicine protocols, interrogation psychology and operative tactics, talk to doctors, police and psychologists, visit crime scenes, prisons, and psychiatric wards, try out guns and combat scenes, and do a whole lot of other strange things. We are not aiming to be unusually brutal or bloody, but what happens has to feel real, to the smallest detail. It entails a big emotional strain for us to place ourselves so close to the victim, close to their fear and pain, but it is a necessity – for us writing is about empathy. 12. WHAT DO YOU THINK ABOUT THE SCANDINAVIAN CRIME FICTION TRADITION? We hold it close to our hearts ever since our childhood summers spent in the company of Sjöwall & Wahlöö. When we began writing as Lars Kepler it was an effort to repay a tradition that has given us so much. Crime fiction is of course distinctively entertainment-oriented, but it is also something more, something bigger. For us it is a genre that thanks to its amplified scenarios is ideally suited to discussing the human condition and society’s shortcomings. In Scandinavia, crime fiction reading is almost a popular movement, a huge cultural happening outside the literary establishment’s prescribed diet. You don’t read crime fiction because it is good for you or laudable, but because it is thrilling and unsettling. 13. DO YOU BELIEVE THAT SUSPENSE AND THRILLER LITERATURE IS THRIVING OR DYING? As long as we live in cultures with a written language, reading will live on. Like everything reading grows and decreases in popularity, but we think that right now more and more people are realizing that one of the greatest gifts you can give yourself is to sit down with a book for a few hours. To travel somewhere with an author in your own imagination, your own feelings, is an enormous luxury. It wouldn’t be wrong to look at the crime fiction novel as the great chronicle of our time, something that scrutinizes our world as it is here and now, from modern family constellations to the extremes of violence. Our awareness of death and the set of ethical dilemmas that this awareness brings us has been discussed and dramatized for the benefit of a great audience in all ages – from Sophocles and Homer to Shakespeare, Dostoyevsky, and Joseph Conrad. 14. ANY WORDS OF WISDOM AND ADVICE TO ASPIRING WRITERS? Even if a plot involves a lot of framework, avoid external constructions. Reading isn’t really about admiring the author’s cleverness and intelligence, but sharing experiences and feelings. For that reason, don’t think about what others want to read or how you will scare your audience, but listen to yourself, look for your own vulnerability, and always try to portray feelings instead of explaining them. To write is to turn your ears inward and anchor each moment and each character in the personal. If you yourself are scared then you’re on the right track; if you get tears in your eyes and have a hard time sitting still on your chair as the killer phones your protagonist, then you are already more than halfway there. When you write you should avoid looking back for as long as you can. Write, write, and write. Just keep going. All authors produce bad text. It doesn’t matter since it can be removed later on, once you have succeeded in capturing what it is you are after. For instance you might find a strong piece of dialogue by letting the characters talk to one another from the moment they meet. It can turn into a ten-page conversation that is later cut down to five succinct sentences, right where the conflict starts. You shouldn’t be afraid to cut, re-evaluate and improve your text, but wait till you have a firm grasp of the sequence (a group of scenes that go together). Even though it is generally the right thing to do to dig where you stand, to use environments that you know, professions or situations that you have an insight into, we also want to advise you to invest in thorough research. It takes time, but gives you so much back in return. Your story has to work from each character’s perspective. Even a killer will make logical decisions based on their situation and psychological disposition – at one certain moment in time, murder is the best solution to their problem. If we had to pick a word that describes our aspiration as crime fiction writers, it would be “empathy”. Disse tre har jeg lest og kan bare si OMG…………….